GST consolidates multiple taxes into one. It is important to have rules in place to ensure that a registered business smoothly transitions to GST. Provisions have been made for the smooth transition of Input Tax Credit available under VAT, Excise Duty or Service Tax to GST. A registered dealer opting for composition scheme will not be eligible to carry forward ITC available in the previous regime. The closing balance of ITC as per the last return filed before GST can be taken as credit in the GST regime. The credit will be available only if the returns for the last 6-months i.e. from January 2017 to June 2017 were filed in the previous regime (i.e. VAT, Excise and Service Tax returns had been filed). Form TRAN 1 has to be filed by 27th December 2017 to carry forward the Input Tax Credit. Also, TRAN 1 can be rectified only once. Before GST, only a part of input tax paid on Capital Goods could be taken as credit. 50% i.e. Rs 5,000 can be claimed as ITC in the same year and balance Rs 5000 can be claimed in the next year. In such cases, there could be some amount of un-utilized credit available on the capital goods. This credit can be carried forwarded to GST by entering the details in Form TRAN 1. A manufacturer or a service provider who has goods lying in the closing stock on which duty has been paid can also take the credit for the same. The dealer has to declare the stock of such goods on the GST Portal. The dealer should have the invoices for claiming this credit. Also, the invoices should be less than 1 year old. What if you don’t have invoices? Manufacturers or service providers who do not have an invoice evidencing payment of duty, cannot claim the credit under the GST regime. How will credit be taken in case of no invoice? can also enjoy ITC of inputs in stock held on 1st July. Input tax credit can be claimed by the manufacturer/dealer for those goods received after the appointed day, the tax on which has already been paid under previous law. Above credits would only be allowed if the invoice/tax paying document is recorded in the accounts of such person within 1st August 2017. A thirty-day extension may be granted by the competent authority on grounds of sufficient cause for delay. Any claims/appeals pending for the refund on the due amount of CENVAT credit, tax or interest paid before 1st July shall be disposed of according to the previous laws. Any amount found to be payable under previous law will be treated as arrears of GST and be recovered according to GST provisions. Transition provisions will apply in cases where the service was received prior to 1st July and the invoices received on or after 1st July. ISD will be eligible to distribute input tax credit under GST. 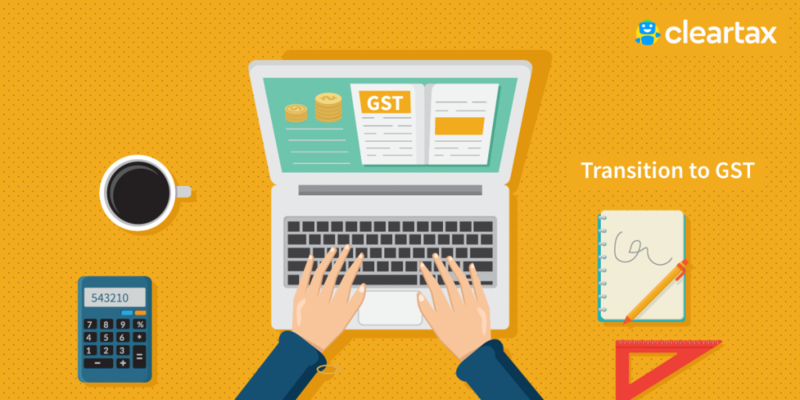 TRAN-1 can be filed and revised once on the GST Portal till 27th December 2017. 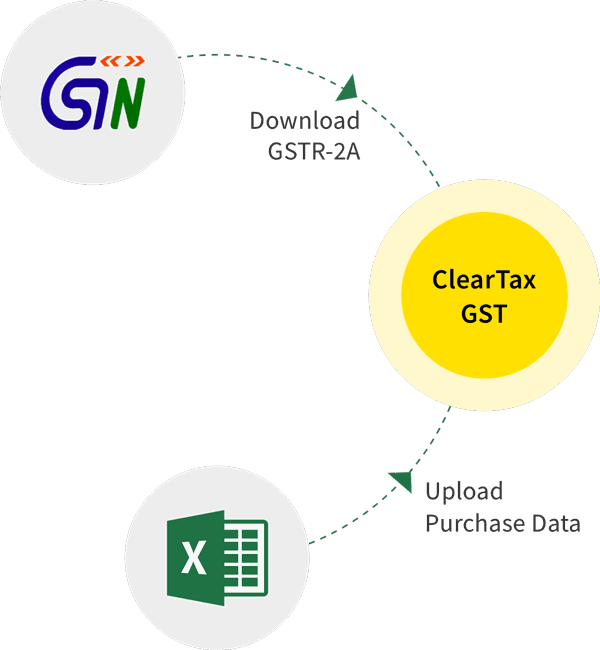 Here is a step by step guide to file TRAN-1 on GST Portal/ GSTN. Filing VAT and Service Tax returns for June 2017 is very important. It is required to carry forward ITC in VAT or Service Tax to GST. This is a short list of things, provisions and laws to remember while transitioning to GST. Read to find out more. The GST Law has an entire chapter on transition provisions. Learn more about the provisions related to works contract, ISDs, and goods lying with agents. What Happens if Contract Price is Revised after GST Implementation? In an ongoing business dealing with contracts, contract price revision is very common. What happens when contract price is revised after GST? Businesses are worried about the taxability of goods sent on approval basis before GST and returned after GST implementation. Revision of VAT returns and other returns of old tax regime will be allowed after GST is implemented, with certain restrictions. Can An Unregistered Person Claim ITC of VAT by Registering under GST? Unregistered persons now can claim VAT credit under GST on registration. Read to find out how much input tax credit you can avail. More than 140 countries have implemented GST. Now let us take a look at what the other countries faced post implementation of gst. Major concerns is the availability and eligibility for claim of ITC available for utilization, when the current indirect tax regime changes to GST. A detailed guide on how SMEs can migrate from the current tax regimes to GST.